The Bengals reinstated Burfict on Thursday. Here’s the latest from the North divisions on a night when their most storied rivalry takes center stage. The Bears‘ Tarik Cohen pursuit began when Ryan Pace‘s top southeastern scout declared the then-North Carolina A&T running back was his favorite player to watch, over all of the SEC prospects he observed, and the Chicago GM soon became enamored as well, Ian Rapoport of NFL.com reports (video link). The Bears selected several small-school talents this year, with second-round tight end Adam Shaheen being the first, but Cohen — a fourth-rounder — has played an impact role from the start. While Cohen will receive his first chance to display the elusiveness that enticed the Bears to a national audience, the Packers will be down several key players. Both starting tackles — David Bakhtiari and Bryan Bulaga — are out, and Mike Daniels will miss the Week 4 tilt as well. The Packers are already down would-be backup options in Don Barclay, Jason Spriggs and Kyle Murphy — each on IR — so Rob Demovsky of ESPN.com tweets a four-guard lineup could be on tap. Justin McCray, who started at tackle for Bakhtiari in Week 2, and fellow rookie Adam Pankey join second-year player Lucas Patrick in the mix to protect Aaron Rodgers on Thursday. Each of those players entered the league as a UDFA. The Packers played without both starting tackles against the Falcons, with Murphy and McCray receiving the replacement starts. The Bears aren’t judging Mike Glennon in their impending quarterback swap but rather are monitoring Mitch Trubisky to determine when the rookie will be ready to take over, Brad Biggs of the Chicago Tribune writes. Glennon has struggled during his first three starts, and Biggs categorizes the season’s plan — once based around Trubisky redshirting as a rookie — as a week-to-week arrangement. Ka’Deem Carey‘s Bears injury settlement was worth $273,529, Biggs reports. The Bears placed the backup running back on IR just before the season, and the settlement came shortly after. Not known for particularly expansive pressers, Jim Caldwell succinctly assessed Taylor Decker‘s status. The fourth-year Lions coach said Decker is “progressing towards” a midseason return, Dave Birkett of the Detroit Free Press notes. The left tackle was given a four- to six-month timetable upon a labrum tear in June. Midseason would fall in that range. Greg Robinson currently mans the left edge for the Lions. Tests done on Danny Shelton‘s injured calf don’t look to reveal a serious malady, Rapoport tweets. The Browns defensive tackle injured the calf in practice Wednesday. He has not missed a game in his three-year career. The Bears will place running back Ka’Deem Carey on injured reserve, according to Brad Biggs of the Chicago Tribune (Twitter link). Because he’s being shifted to IR before making Chicago’s initial 53-man roster, Carey isn’t a candidate to return later this year. Carey, a fourth-round pick in 2014, has appeared in 36 games over three season with the Bears, but has only made one career starter. Last season, the 24-year-old averaged 3.9 yards per carry on 32 touches. While he won’t play for Chicago in 2017, it’s possible Carey agrees to an injury settlement and becomes a free agent. The Bears are set at running back without Carey, as starer Jordan Howard is backed up by Jeremy Langford and rookie Tarik Cohen. Bears running back Ka’Deem Carey underwent wrist surgery and will miss approximately six weeks, Fox told Brad Biggs of the Chicago Tribune and other reporters on Wednesday (Twitter link). Carey, who’s behind Jordan Howard and Kendall Langford on the Bears’ depth chart, has totaled just 111 carries since they chose him in the fourth round of the 2014 draft. He averaged 3.9 yards on 32 attempts last season. The Bears have ongoing competition for backup quarterback — Jimmy Clausen and Jordan Palmer are both playing well — and running back, where Shaun Draughn and fourth-rounder Ka’Deem Carey are vying for carries behind Matt Forte. The safety position remains a jumble, though Chris Conte is expected to be cleared for action in next week’s third preseason game, and the best estimation for the starting combination come opening day might be Conte and veteran Ryan Mundy. In keeping with the question mark theme, the job of kick returner is also up for grabs because Chris Williams is hurt, and Eric Weems has done nothing to take ownership. 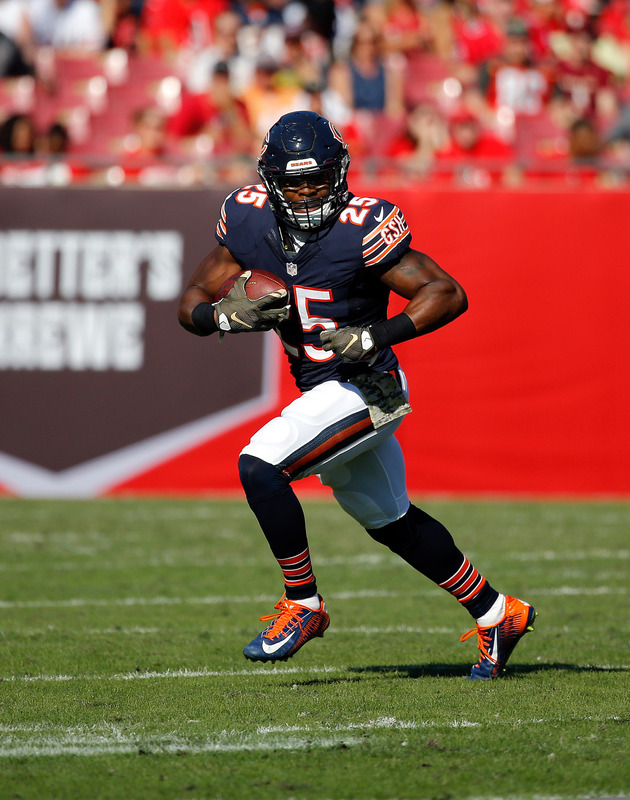 “The Bears have gone from Devin Hester to who-knows-what entering the third preseason game,” says Biggs. A week after starring in the first preseason game, tight end Zach Miller went down with a left foot injury. The team will get details on the injury today. Sixth-rounder Pat O’Donnell has all but locked up the punting job. With Marquess Wilson injured, veteran Josh Morgan could position himself as the third receiver. If the Redskins young guards play well, Chris Chester could be a release candidate, writes John Keim. Spencer Long, Josh LeRibeus and Adam Gettis would be among the players looking to replace the 31-year-old. In the same article, Keim mentions that veteran Adam Carriker hopes to make a comeback. The defensive end was cut by the Redskins in March. It is unlikely that Eagles rookie kicker Carey Spear (also known as “Murderleg”) beats out Alex Henery, says Phil Sheridan. The former Vanderbilt kicker signed with the Eagles as an undrafted free agent in May. Assuming the Bears hold on to three running backs, Michael C. Wright believes that Jordan Lynch would be the odd man out. In spite of the players skills, Wright doesn’t think he’ll receive enough repetitions in the preseason to display his talent. Lynch figures to be competing with Ka’Deem Carey and Michael Ford. We’ve passed along a couple Ravens updates from the combine already today, but Aaron Wilson’s latest piece for the Baltimore Sun includes so many notable nuggets on the team that we’ll need a new post to round them all up. Let’s dive in…. If the Ravens tag Pitta as their franchise player, he’s expected to file a grievance to try to get the wide receiver tag, a source tells Wilson. Harbaugh didn’t close the door on the possibility of bringing back both Monroe and Michael Oher, though a previous report suggested Oher is unlikely to return if Monroe re-signs. The Ravens will meet with Boston College running back Andre Williams, who also has meetings scheduled with the Jaguars, Bills, and Bengals, tweets Wilson. Arizona running back Ka’Deem Carey also met with the Ravens, as well as the Steelers, at the combine, tweets Wilson.